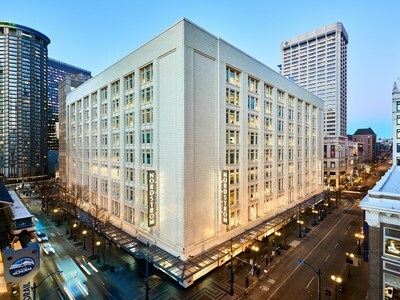 SEATTLE, Feb. 26, 2018 /PRNewswire/ -- Following the successful launch of the Treasure & Bond x SomethingNavy capsule collection in fall 2017, Nordstrom is partnering again with Arielle Charnas, the powerhouse influencer behind the blog and social channels SomethingNavy, to exclusively introduce a new standalone brand, SOMETHING NAVY. Charnas will collaborate with Nordstrom to design and develop the new SOMETHING NAVY brand, which will embody approachable fashion with a luxe sensibility. SOMETHING NAVY will be available exclusively at select Nordstrom locations and Nordstrom.com this fall. As mutual arbiters of style, Charnas and Nordstrom have joined forces to provide statement pieces and elevated essentials at an accessible price point. Charnas will parlay her social media influence and love of fashion into a brand that is a natural extension of her online fashion journey. With years of experience creating her SOMETHING NAVY channels, Charnas has cultivated a loyal and engaged following and has created this brand with her audience's taste for bold and on-trend pieces in mind. 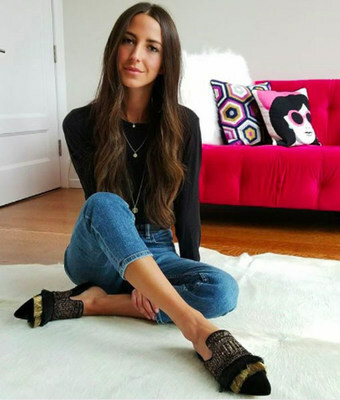 "After our collaboration last year, it was a natural choice to continue my work with Nordstrom," said Arielle Charnas. "Through my career, I have been lucky enough to share my style and life journey with my audience. The SOMETHING NAVY brand will be a reflection of my absolute love of fashion." SOMETHING NAVY will be grounded in neutrals and complemented by subtle pops of color and prints, inspired by Arielle's favorite looks. SOMETHING NAVY will be available in sizes 00 to 18 to demonstrate Nordstrom's commitment to size inclusivity. "With SOMETHING NAVY, we are able to give our customers an exclusive new brand based on Arielle's unique aesthetic. The brand will expand into additional categories each season, reinforcing our commitment to introduce exciting new product regularly," says Jennifer Jackson Brown, president of Nordstrom Product Group. "The SomethingNavy x Treasure & Bond capsule collection we introduced in fall 2017 really resonated with our customers, and we could not be more thrilled to welcome her back to Nordstrom." SomethingNavy, a digital lifestyle brand created by Arielle Charnas in 2009, serves as the discerning woman's guide to wearable, adaptable inspiration. Charnas leverages her experience growing up in the fashion industry to provide daily style inspiration, while experimenting with new trends and brands along the way. Arielle lives in New York City with her husband, Brandon, and daughter, Ruby, with another daughter arriving soon.